I Love a Good Knock-off — That Cost How Much? 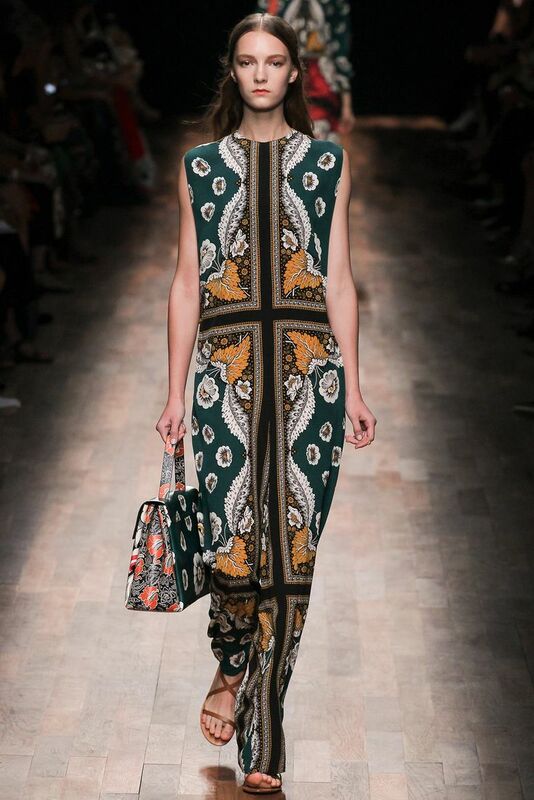 By far my favorite Spring 2015 runway show was Valentino's delicate, beautiful, and etheral take on hippie chic. There was leather, embroidery, lace, and dreamy chiffon gowns. 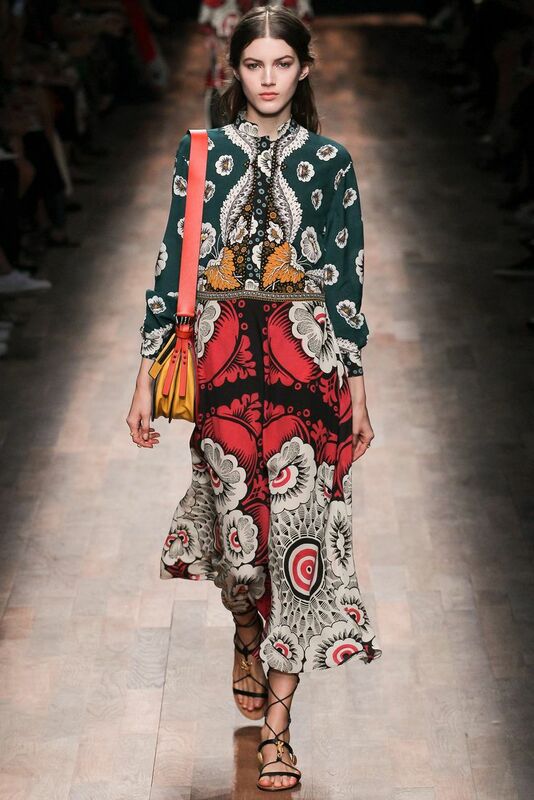 But what struck me the most was a series of baroque-meets-boho prints. In bright colors and mixed patterns, they are the ultimate outfit makers. Unfortunately, one of his creations will cost you over $7,000. Enter this fabulous knock-off from H&M. The colors are gorgeous and the silhouette will work for just about anyone. But the best part is the price- only a fraction of the real deal at $69.90. Act fast- I smell a sell-out!